On November 15-17, Caribbean-based Diamonds International celebrated the opening of a new retail concept titled Luxury of Time at Disney Springs, bringing luxury timepieces and jewelry to the newly expanded shopping destination at Walt Disney World Resort in Lake Buena Vista, Florida. The 3,073 SF location is the first in the United States for the Luxury of Time concept, and fifth overall in the US for Diamonds International. 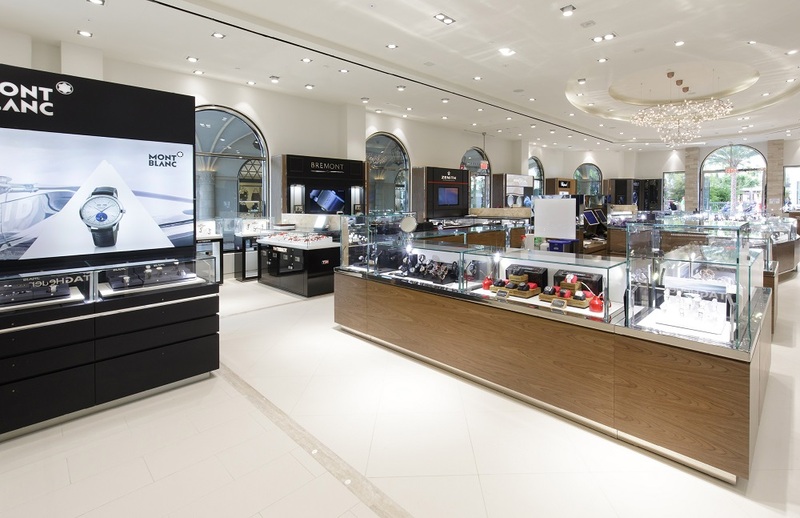 The new retail concept features a design that serves as a polished and elegant canvas for the display of jewelry and timepieces, while creating an intimate and tailored shopping experience. 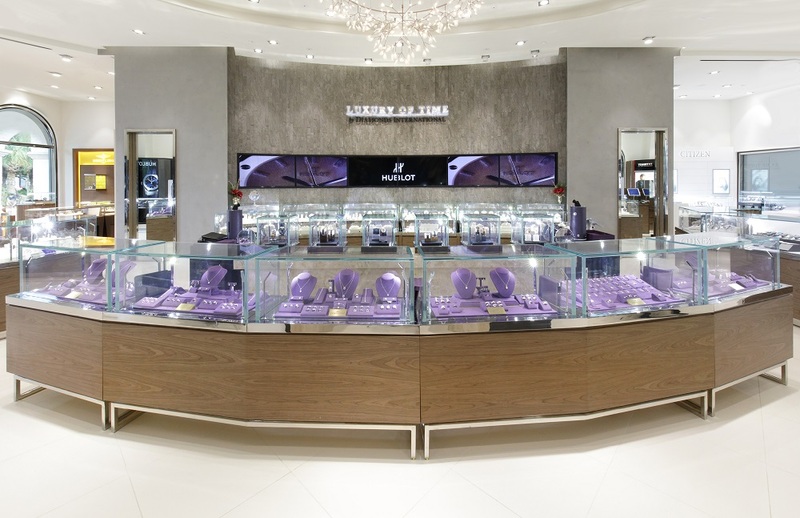 Within the store, a central display exhibits Diamonds International’s in-house collection of fine jewelry while branded shop-in-shops at the edges display timepieces. Stone, walnut and chrome fixtures showcase the merchandise, while the interior features a neutral porcelain-tiled floor complemented by walnut- and travertine-finished walls to create a light, modern but romantic interior. To the side, a furnished, private salon with walnut panels establishes a luxurious and intimate experience. With 13 distinct brands represented, consistent finishes and design elements were implemented to create a uniform and cohesive environment. KPA was retained as Interior Designer and Architect for this project.